Ms. Gabbard, who converted to Hinduism early in her life, is highly popular among Indian-Americans. Ms. Gabbard (37), is the second woman after Senator Elizabeth Warren to enter the presidential race from the Democratic party. More than 12 Democratic leaders including Indian-origin Senator from California Kamala Harris are expected to announce their White House run to challenge President Donald Trump in 2020. Ms. Gabbard, a four-time Democratic lawmaker in the US House of Representatives from Hawaii, told CNN Friday: I have decided to run and will be making a formal announcement within the next week. The Iraq war veteran has become the first-ever Hindu to be running for the presidency in the US. If elected, she would be the youngest ever and first woman President of the United States. She would also be the first non-Christian and first Hindu to occupy the top post. However, at this point of time, American political pundits do not give her much chance. Hindus constitute less than one per cent of the American population, an overwhelming majority of whom are either from India or are people of Indian-origin. 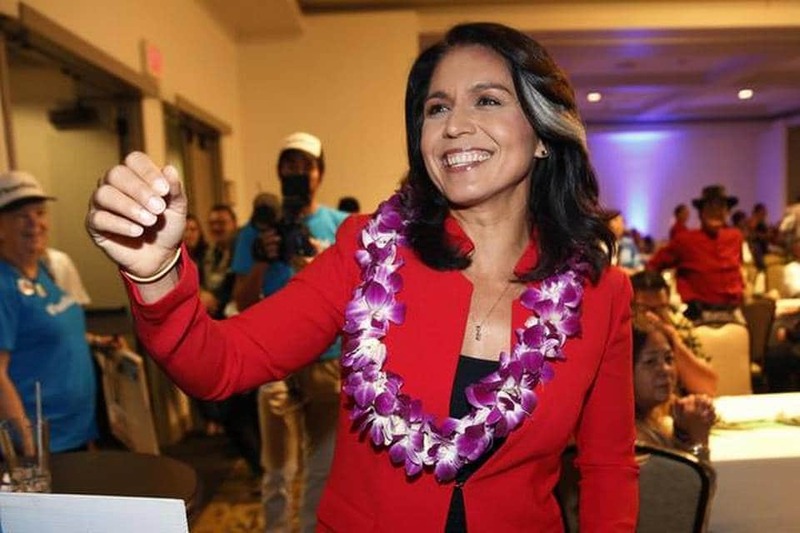 Ms. Gabbard, a co-Chair of the powerful House India Caucus, was recently re-elected for the US House of Representatives from Hawaii for the fourth consecutive term. A winner of the primary elections beginning early 2020 would be finally nominated by the Democratic party in its convention later that summer to challenge the Republican candidate in the November 2020 elections. President Trump has announced to seek his re-election. The winner of the Democratic primary would be pitted against him. Ms. Gabbard, who supported Senator Bernie Sanders against former secretary of state Hillary Clinton in the 2016 Democratic primary, told the CNN that there are a lot of reasons for her to take this decision. There are a lot of challenges that are facing the American people that Im concerned about and that I want to help solve, she said. She listed access to health care, criminal justice reform and climate change as key issues. There is one main issue that is central to the rest, and that is the issue of war and peace. I look forward to being able to get into this and to talk about it in depth when we make our announcement, Ms. Gabbard said. Former US vice president Joe Biden has also expressed his interest in the 2020 bid. Rania Batrice, who was a deputy campaign manager for Bernie Sanders in 2016 and is now a top aide to Ms. Gabbard, will be her campaign manager, CNN reported. Among other Democrats speculated to run for the 2020 primaries include Senators Kirsten Gillibrand, Amy Klobuchar and Tim Kaine.